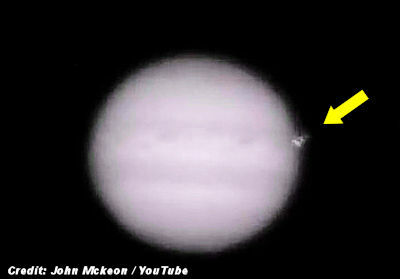 This is the time-lapse of processed images leading to the impact on Jupiter March 17. The original purpose of the imaging session was to get this time-lapse, with a happy coincidence of the impact in the second last capture of the night. Each of the images in the time lapse are clear because they have been processed from 55 seconds of video. the impact itself however only lasts less than two seconds, so I have shown this part without processing.